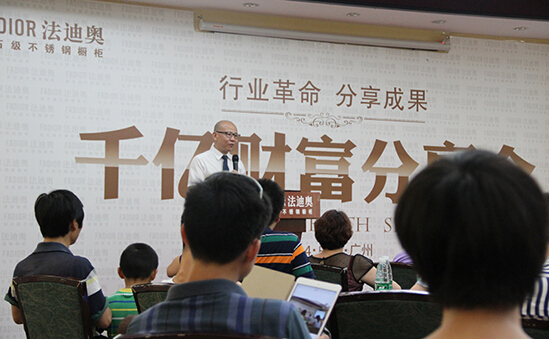 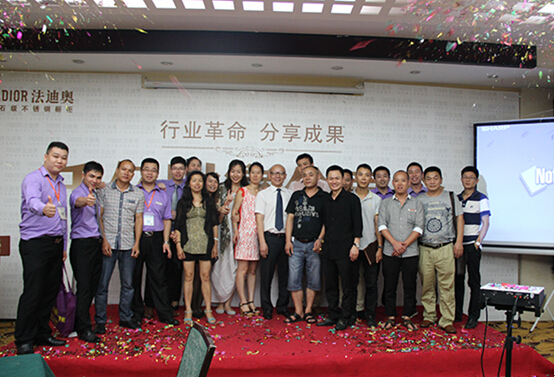 July 8, 2014 -11 days, "The first Asian building materials exhibition" - Sixteenth "China (Guangzhou) International Building Decoration Fair (the CBD fair)" in Guangzhou Pazhou Exhibition Center is held ceremoniously, the first brand stainless steel cabinet- Fadior Stainless Steel Indoor Kitchen Cabinets with "industry revolution, share achievements "theme high-profile appearance, the pavilion design runs through "high-end luxury security custom "concept, which fully represent the first industry leaders style of stainless steel cabinets industry, dazzling, attracted the majority of visitors, investors and media attention,becoming major businesses' star brand and the focus of attention! 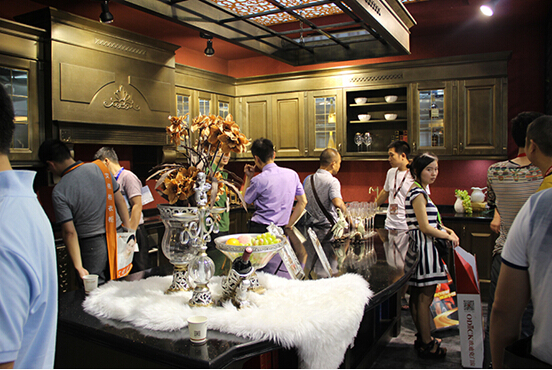 In the Fair, the first Modern Stainless Steel Cabinets brand - Fadior, carry the latest 2014 product collection with new image of high-end luxury custom cabinetry, shocked the industry again! 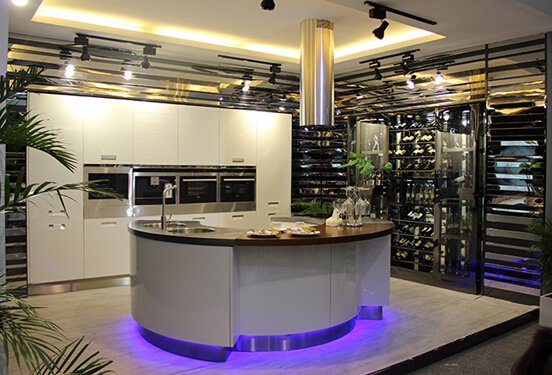 By applying the fifth generation stainless steel cabinets, Fadior opens a new era of kitchen cabinet with"safety and environmental protection, science and technology harmony, luxury and fashion" , which makes a stir in the audience! 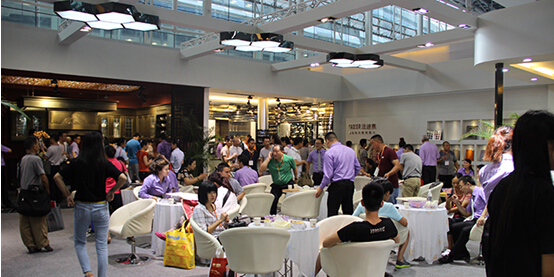 Fadior staff entertained the customer warmly in the exhibition hall, each customer is full of confidence and expectations of Fadior's peer products and huge business prospects, which make the exhibition hall is filled with enthusiasm and pushes Fadior's exhibition to a new climax. 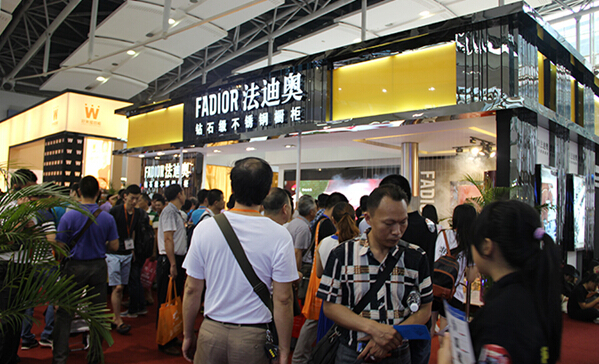 Many customers with projects were very excited about Fadior's trend-leading stainless steel cabinets, they have sufficient confidence in Fadior cabinet of vast potential for future development. 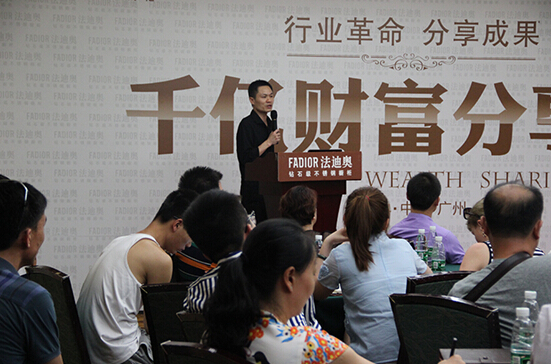 There are totally 43 franchisee success signed with Fadior in "win - win" cooperation.